Having your identity stolen is no joke. It can wreak havoc on your livelihood and your future wellbeing. Identity theft is a big concern these days, with the advent of the internet making private information easier to come by than ever. Criminals can actually buy your personal information and sell it to others, and each step of the way your good name is at risk. A San Bernardino County licensed investigator can get to the bottom of the situation and find protect you from suffering the consequences of criminal identity theft. Victims of identity theft stand to lose a lot more than their wits. Identity theft can ruin your credit and even get you locked up for a crime you didn’t commit. A San Bernardino County licensed investigator is often the only expert who can resolve the matter before it’s too late. While local law enforcement does what it can to figure things out, the officers in charge are sometimes too overwhelmed to give each case the attention it deserves. San Bernardino County licensed investigators can take the case immediately and stop the criminal in his or her tracks much quicker and more efficiently than most law enforcement agencies. In fact, the majority of law enforcement agencies have a private investigator on staff to handle cases for them. However, that does not mean you cannot go ahead and hire a San Bernardino County licensed investigator to perform an investigation on your behalf. Citizens are always relying on private investigators to uncover pertinent details of a mysterious case. A San Bernardino County licensed investigator is your best bet, because private investigators must be licensed in the state in order to gather evidence that can be used during prosecution in a court of law. In some cases, a San Bernardino County licensed investigator has been hired because someone’s identity was stolen after they gave out their home address. Identity theft can happen anywhere and at any time, and everybody is susceptible. In reality, a San Bernardino County licensed investigator should be programmed into your speed dial. As you can see, identity theft is a serious problem. Having a San Bernardino County licensed investigator lead an identity theft investigation on your behalf may be the best plan. 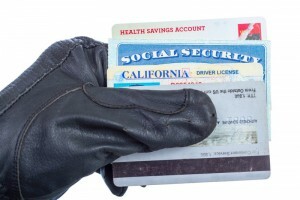 Knowing when identity theft has taken place is sometimes difficult until the damage has been done. Most of the time, hiring a San Bernardino County licensed investigator to do an identity theft investigation is your best bet. This will allow you to find any security issues existent on your personal accounts and can help you put a stop to criminal activity before it’s too late. If you feel as though you are already the victim of identity theft, then waste no time getting in touch with a San Bernardino County licensed investigator. For more information on having a corporate investigation conducted on your behalf, or to hire a San Bernardino County licensed investigator immediately, contact at (951) 800-8232. We provide you with a free initial consultation and price quote for our services.